Keyboarding: Something to keep in mind. . . . Always keep in mind that your goal, at first, should be to learn the keys of the HOME ROW before you begin to build speed. Accuracy is much more important for a beginning typist. There really is no "magic" or secret about good typing ability. It just takes time, lots and lots of practice & patience. Listed below are some important tips that will help you in the process. OBJECTIVE: To learn the key position of each letter and to type without looking at the keys or your hands! 1. Use the correct finger to strike each key. 3. Sit up straight and keep feet flat on the floor. 4. Keep home row fingers touching the home row keys; even during a difficult reach. 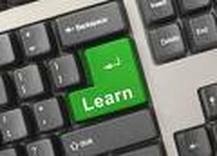 A student should be able to type 45wpm or higher in a single sitting (one class period) by the end of ninth grade. A student should be able to type 3 word processed pages in a single sitting. By the end of the semester these are the scores you are expected to achieve. 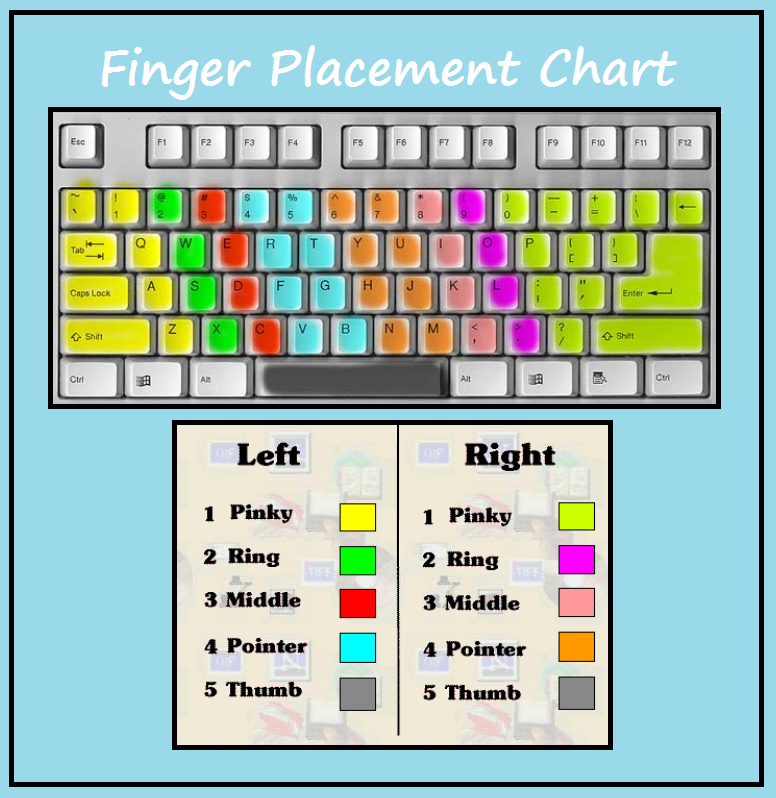 Keyboarding Homework for all Grade Levels. . . . The Massachusetts Department of Education recommends students should be typing 30 words per minute (wpm) or more with less than 5 errors per session. The goal is to acheive 100% accuracy. Students should practice, at least , 10-15 minutes of typing per night. Longer sessions are beneficial & encouraged.